Snowpiercer offers a quite unique experience. It combines subjects that usually are difficult to mix with action and suspense yet director Joon-ho Bong known for The Host manages to do this. The subjects are certain ideologies that aren't that hard to determine. Some dialogue and acts might not always make sense. However they are presented and told in a way that you get to know what you need to know. One thing you will have to understand that for a lot of what is being displayed on the screen has not to be taken to literally since most of it is impossible and extremely far fetched. The viewer is presented with an idea that has been realized to make it more tangible. Important to know is that Snowpiercer is filled with symbolism but not necessary to be familiar with in order to enjoy. It basically comes down to that you can go as deep as you want it to be without it being condescending. But this film therefore does demand that you skip wondering of how things are (technically) possible and simply accept that it is. And wants you to focus on why it is happening. If you are able to do this then Snowpiercer will be thrilling through and through. Only at a few points will it be dragging a little and the ending may be a little too simple for it's own good. Two main actors from The Host (2006) also star in this and they have found a clever way to let them speak their own language Korean while still letting the audience believe the English speaking people understand them. Probably ripped of / inspired by Star Trek. Chris Evans is impressive in his role. I can honestly say that this has been his mos mature role so far and it suits him. He has no problem carrying this film and he makes you want to root for him. Telling more would ruin your viewing experience because I believe that in this case the least you know the more overwhelming and rewarding it will be. 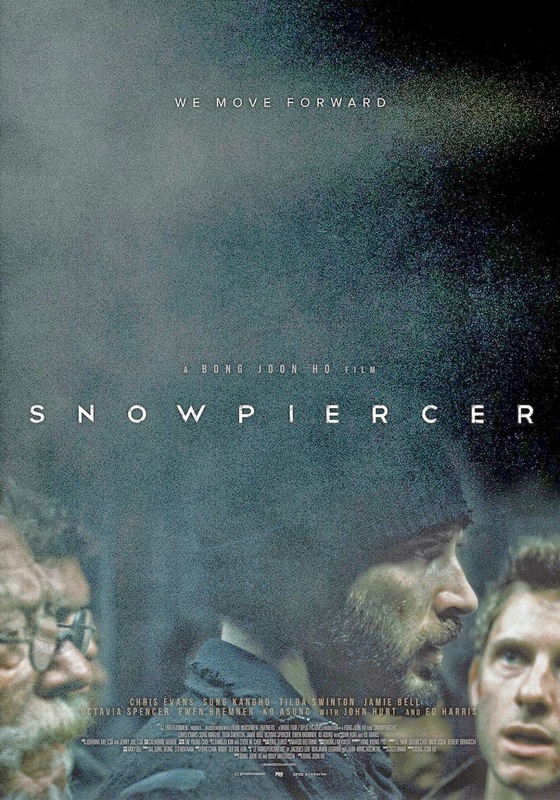 Snowpiercer is an excellent example of a good science fiction that entertains but at the same time is trying to make you think about certain matters. Go watch it, it's exhilarating!